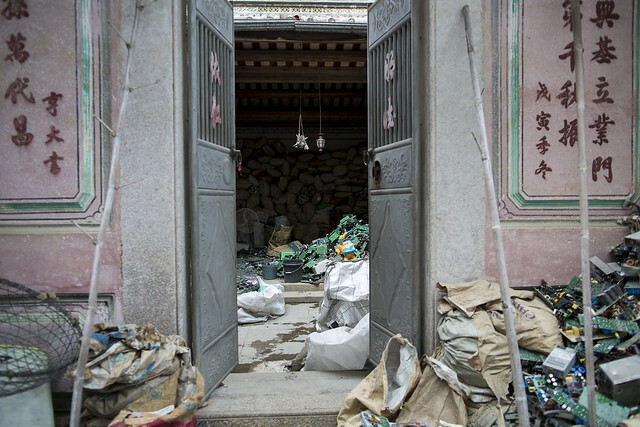 The town of Guiyu in the economic powerhouse of Guangdong province in China has long been known as one of the world's largest electronic waste dump sites. 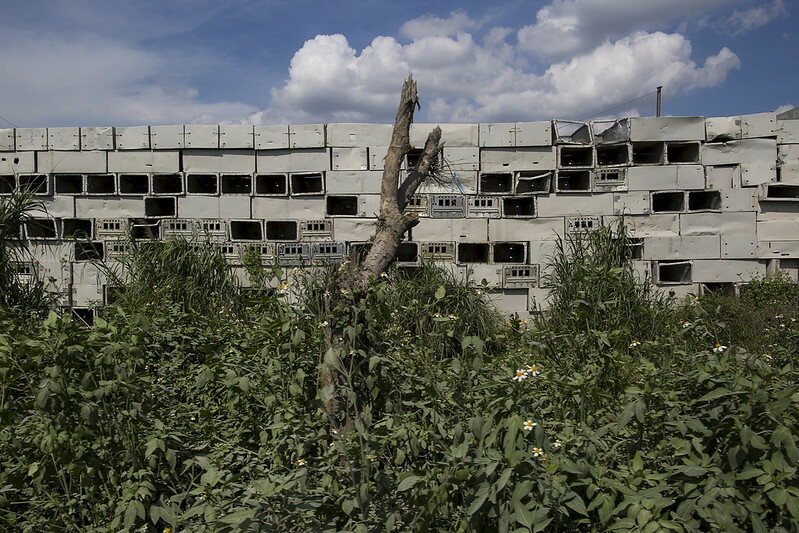 At its peak, some 5,000 workshops in the village recycle 15,000 tonnes of waste daily including hard drives, mobile phones, computer screens and computers shipped in from around the world. Many of the workers toil in poorly ventilated workshops with little protective gear, prying open discarded electronic products with their bare hands. Plastic circuit boards are melted down to salvage valuable metals such as gold, copper and aluminum. 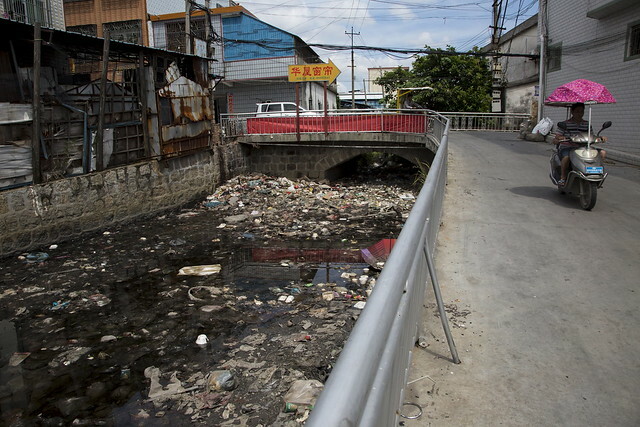 As a result, large amounts of pollutants, heavy metals and chemicals are released into the rivers nearby, severely contaminating local water supplies, devastating farm harvests and damaging residents’ health. The stench of burnt plastic envelops the small town of Guiyu, some of whose rivers are black with industrial effluent. 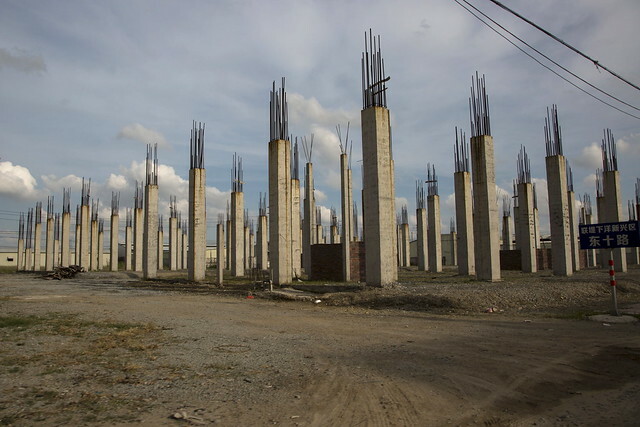 According to research conducted by Southern China's Shantou University, Guiyu's air and water is heavily contaminated by toxic metal particles, so children living there have abnormally high levels of lead in their blood. While most of the e-waste was once imported into China and processed in Guiyu, much more of it now comes from within China as the country grows richer. China now produces 6.1 million tonnes of e-waste a year, according to the Ministry of Industry and Information Technology, second only to the United States with 7.2 million tonnes. 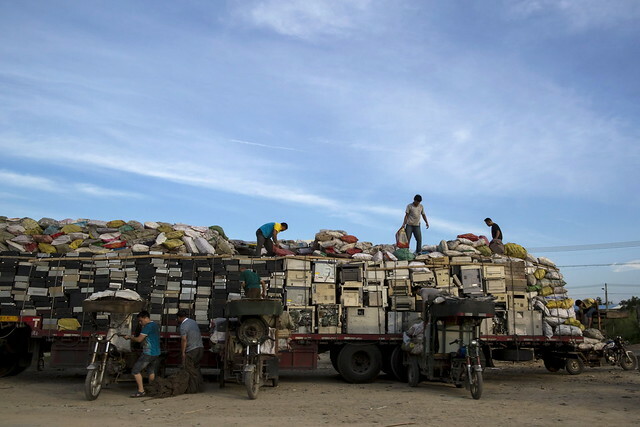 Metal cases are piled up on the outskirts of the township of Guiyu in China's southern Guangdong province June 9, 2015. 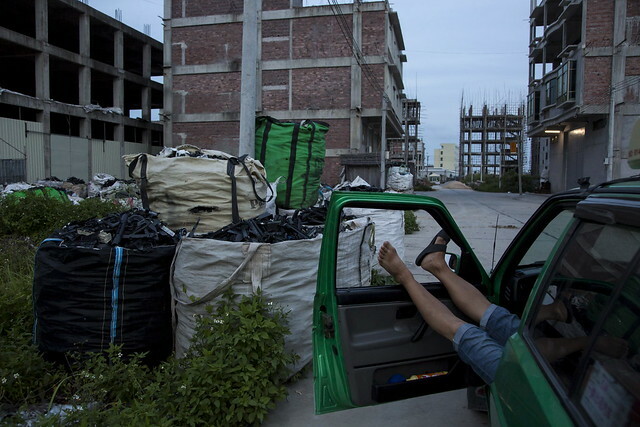 Workers illegally distribute old computers and printers to others for recycling outside the government designated recycling centre, at Guiyu in China's southern Guangdong province June 8, 2015. 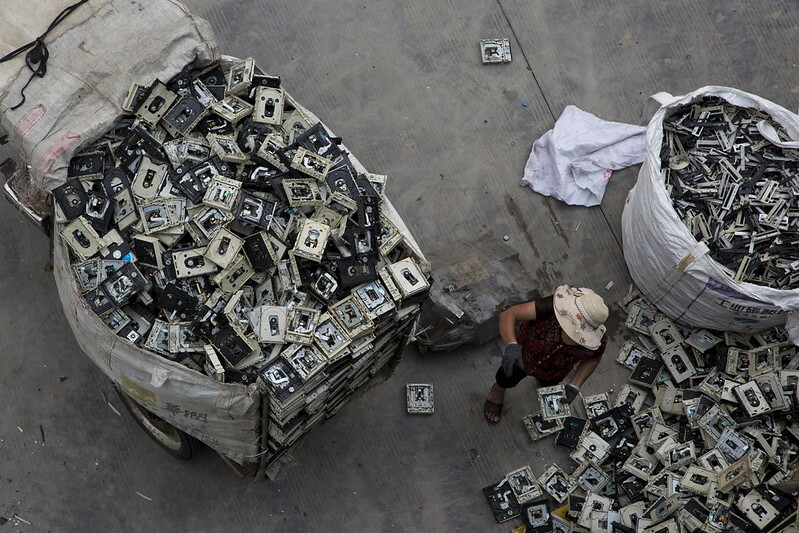 A worker distributes electronic waste at a government-managed recycling centre at Guiyu in China's southern Guangdong province June 10, 2015. 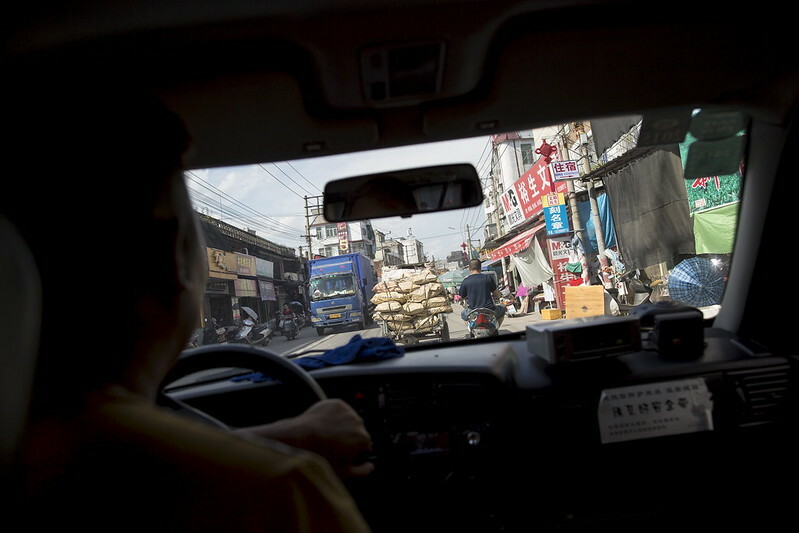 A motor tricycle transports electronic waste to one of the small workshops for recycling in Guiyu in China's southern Guangdong province June 9, 2015. Thousands of circuit boards lie inside a house in the township of Guiyu in China's southern Guangdong province June 8, 2015. 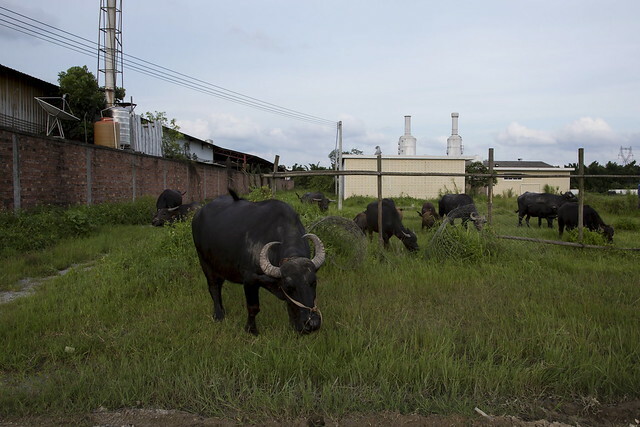 Buffalo browse close to workshops recycling plastic components from electronic waste at Guiyu in China's southern Guangdong province June 10, 2015. A new factory for recycling waste is under construction at a government-managed area in Guiyu in China's southern Guangdong province June 10, 2015. A polluted river flows past a workshop used for recycling electronic waste in Guiyu in China's southern Guangdong province June 10, 2015. 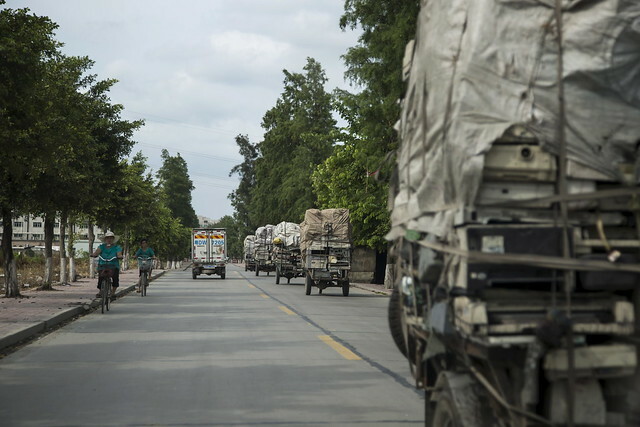 Motor tricycles transport electronic waste to one of the small workshops for recycling in Guiyu in China's southern Guangdong province June 10, 2015. Plastic parts from waste electronic products are packed in bags on a roadside in Guiyu in China's southern Guangdong province June 10, 2015.